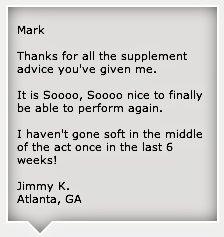 Testosterone Pills! Oral Testosterone! Reviews! Side Effects! If someone held a gun to my head and told me I HAD to take Oral Testosterone, I'd opt for testosterone undecenoate, but I wouldn't be happy about it. 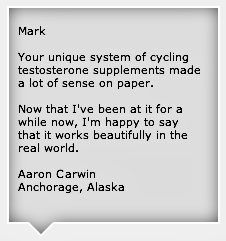 I personally believe all forms of oral testosterone are dangerous and should be avoided at all costs. Not unless you have too! If you still have functioning testicles, and can produce any testosterone on your own, you owe it to yourself to attempt to boost testosterone levels naturally, before you begin direct testosterone replacement therapy. Follow these links for more information . With so many other options available, such as testosterone gel, testosterone cream, and testosterone pellets, you have no reason to take any form of oral T.
All of the above methods bypass the liver and go directly into the bloodstream, which is less taxing on the liver. When you take oral testosterone you'll experience a rapid jump in T several hours after the pill is taken, followed by a rapid decline 7 to 8 hours later. This hormonal roller coaster can cause wild mood swings, rage, hostility, and anger, followed by depression, anxiety, and sadness once the hormones leave the system. 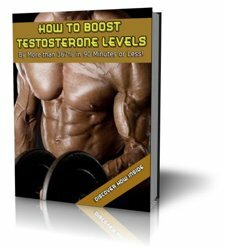 To make matters worse, you have to dose several times a day to keep your T levels from plummeting. Getting the dose right can be extremely difficult, as food can dramatically alter absorption rates. Take it on an empty stomach, and you'll most likely enter the hostility zone. Take it with a large meal, and you may feel nothing. If your doctor recommends oral testosterone, do yourself a favor and find another doctor. And if you really do need to boost male hormone production, look into safer options.